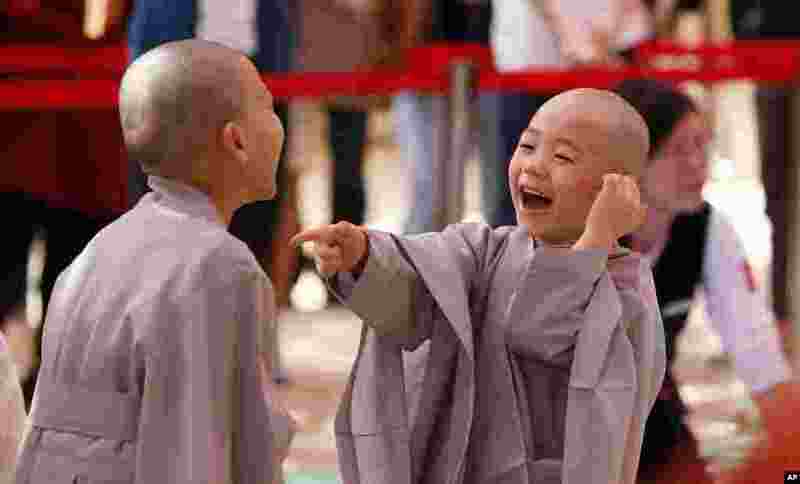 1 Two boys laughs at each other after shaving their heads during a service to celebrate Buddha's upcoming 2,560th birthday on May 14, at Jogye Temple in Seoul, South Korea. 2 People celebrate Clean Monday (or Wet Monday) in Lviv, western Ukraine. Clean Monday is a Ukrainian Christian tradition celebrated on the first day after Orthodox Easter. 3 American slackliner Heather Larsen crosses a high wire between two towers at the Tower of David Museum in Jerusalem's Old City. Wearing a harness attached to the line, Larsen walked across a 35-meter span and then a 20-meter line inside the courtyard of the ancient museum of Jerusalem's Tower of David, named after the Biblical king. 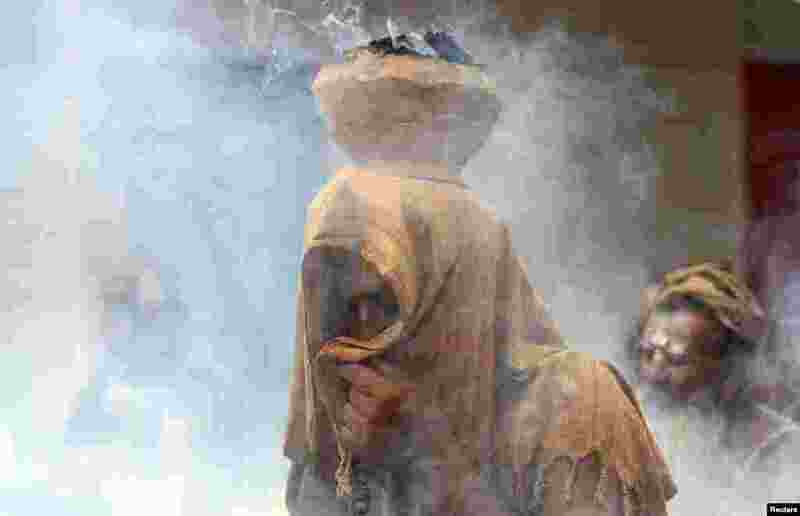 4 A Sadhu or a Hindu holy man covers his face as an earthen pot with burning "Upale" (or dried cow dung cakes) on his head during a prayer ceremony at the Simhastha Kumbh Mela in Ujjain, India.